“Matt and his team gave a tremendous boost to the fundraising for our newly formed group I’m indebted to them all for completing this amazing challenge”. Matt quickly recruited friends Mark Denning, Nick Baker, Stuart Coles and Steve Parry to join his cycling team and Lee Sowden and Russell Belairs as back up crew. The Sid Valley Cyclo Paths were born. After many months of gruelling cycling miles around the beautiful Devon countryside, the Cyclo Paths set off on their John o Groats to Lands End cycle challenge on June 6th. Nearly 1000 miles and just 7 and a half days later these amazing guys were cheered in by family and friends at Lands End. With the generous support of friends, colleagues and family along with further financial donations from many local businesses the Sid Valley Cyclo Paths raised an amazing fundraising total of over £13,000. 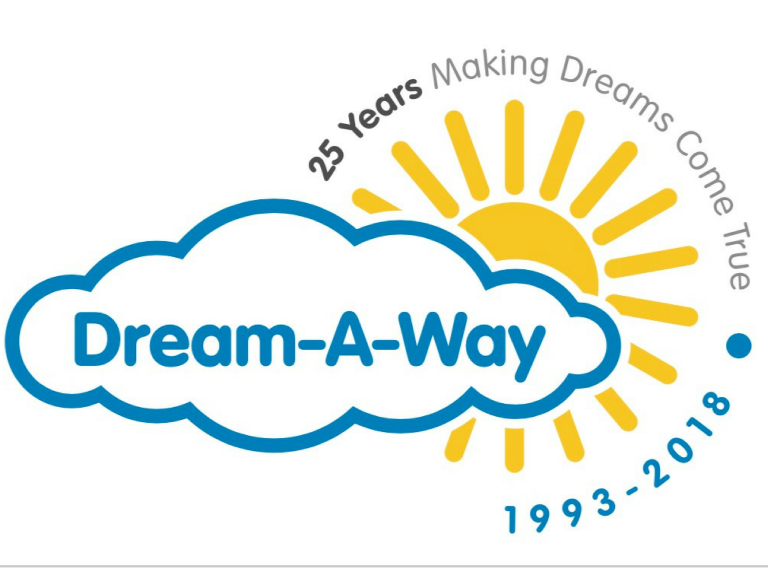 Dream-A-Way will be able to use this massive amount of money to provide holiday grants and outings for many local families with disabilities. Chair Jeff Merrett MBE said : “The challenge set by these guys was simply awesome – nearly 1000 miles in just 7 ½ days – but their determination and spirit ensured their success To raise such a magnificent total for Dream-A-Way will enable us to make the impossible, possible for even more special, local people”. At a cheque presentation ceremony at Bicton Park Botanical Gardens Matt was honoured to become a Dream-A-Way Ambassador and the team were presented with a round of golf at Teign Valley Golf Club as a well deserved congratulation by Dream-A-Way Vice President and platinum supporter Valerie Lister .